The European Union has shown leadership in its efforts towards reaching global agreements on sustainable development and climate change, as well as in shaping the international humanitarian landscape by taking an integrated approach towards crisis and fragility. Its joint programming, extensive use of budget support, and results based management based on country priorities are enhancing ownership and inclusiveness. 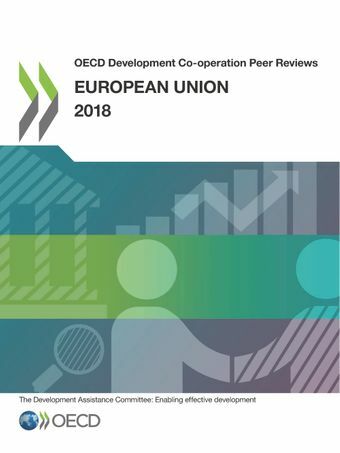 The Review underlines that the European Union would benefit from strengthening policy coherence for development and a whole-of-EU approach in establishing operational guidance for poverty reduction and mobilising private investment for development. It could also lead by example by allocating more resources to least developed countries. The European Union is a global leader on budget support, disbursing 80% of the total DAC members’ Official Development Assistance for this modality. The European Union’s budget support - including state building contracts for fragile contexts - is implemented in 90 countries and territories around the world through 270 contracts, mostly in sub-Saharan Africa and the European neighbourhood countries. Its positive impact on better governance and its effectiveness in partner countries have been widely recognised.